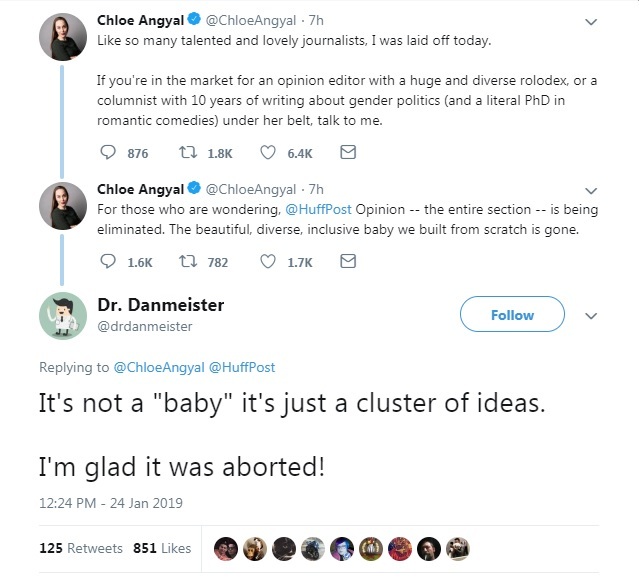 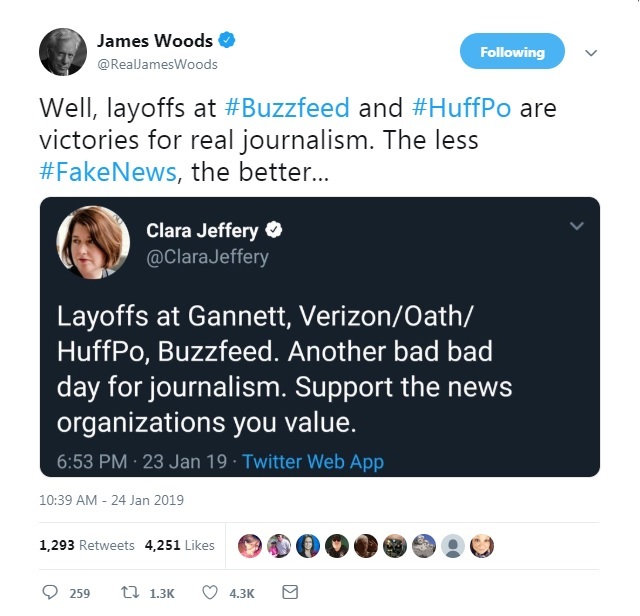 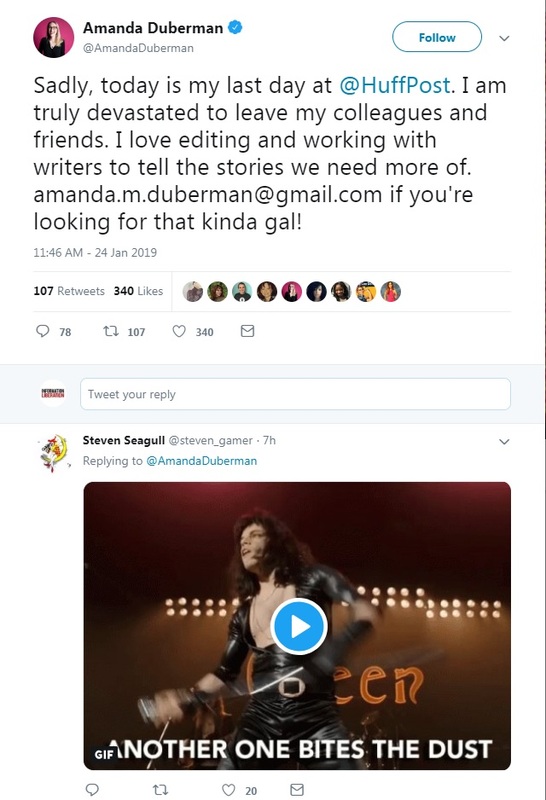 After news came out about mass layoffs at HuffPost, Buzzfeed and Gannett -- in the midst of the media's relentless smear-job against the Covington Catholic students -- right-wing Twitter had a field day. 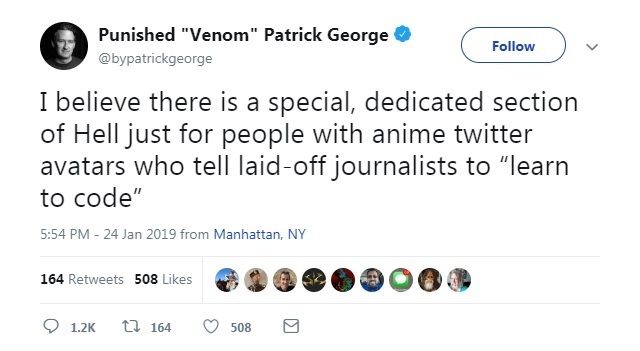 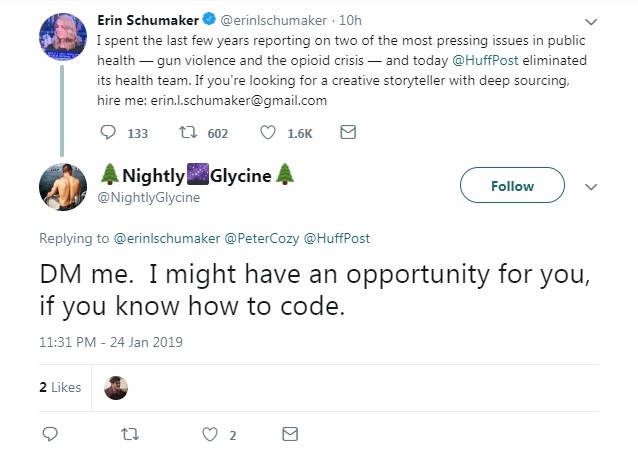 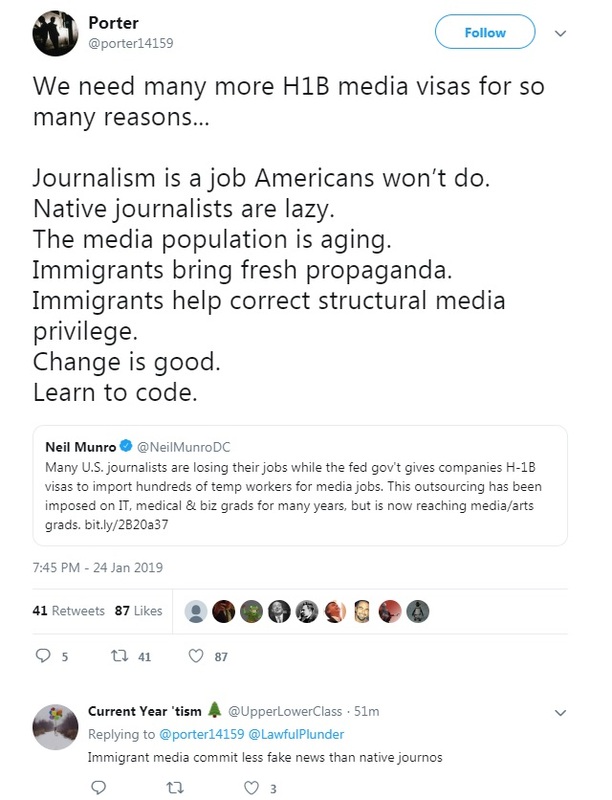 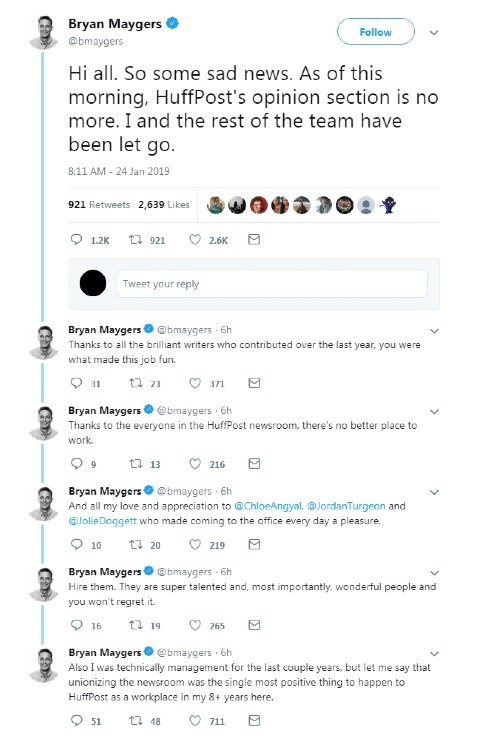 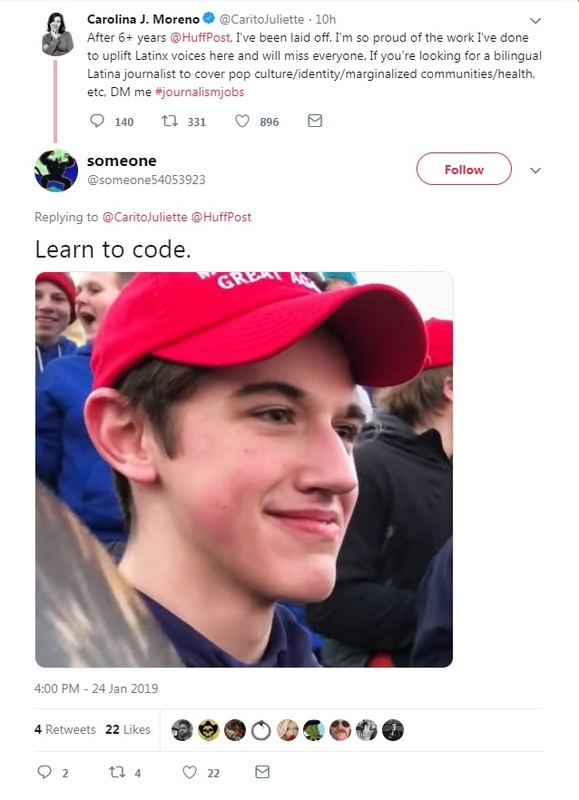 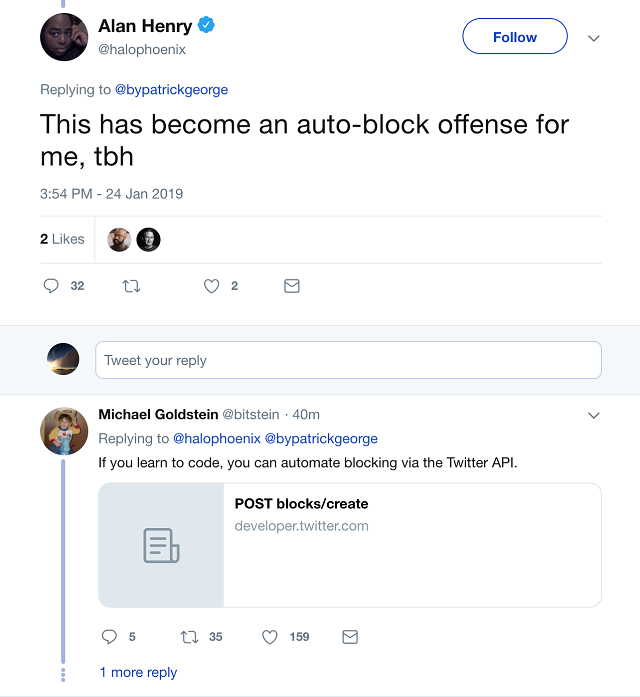 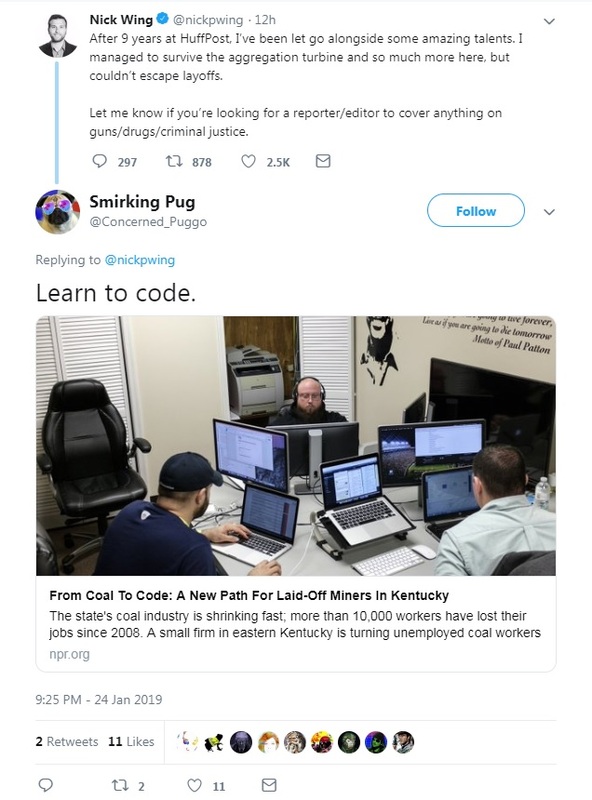 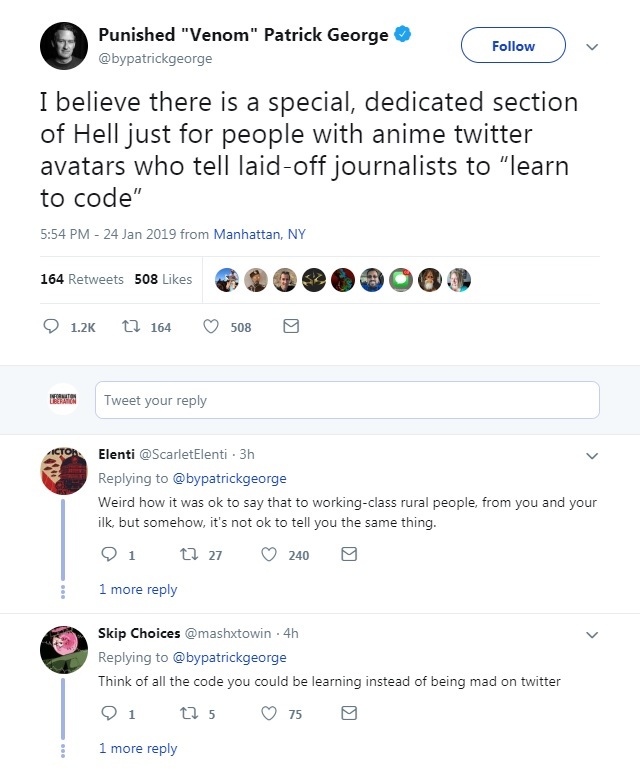 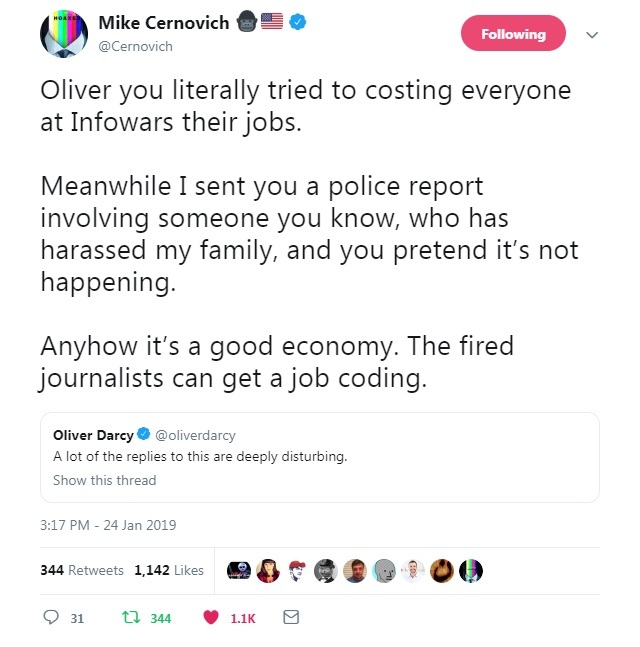 Tons of leftist journalists announced they were laid off on Twitter and the top meme was telling them to "learn to code" -- which is the same advice the media gave middle Americans whose jobs are being taken in traditional industries. 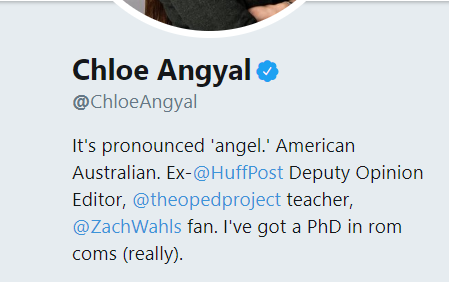 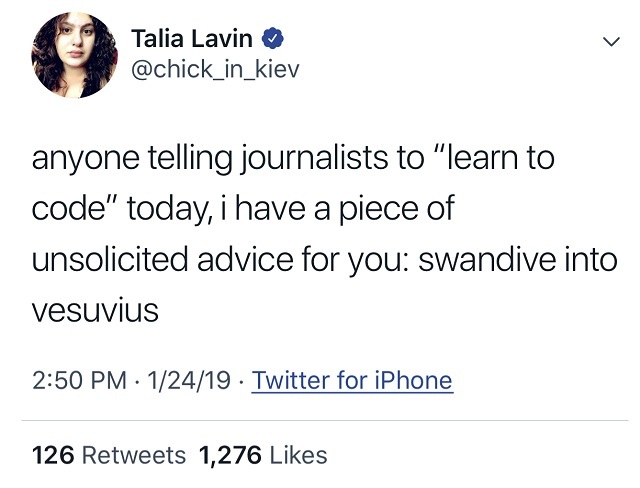 Chloe Angyal, best known for penning the inflammatory "Goy Bye!" 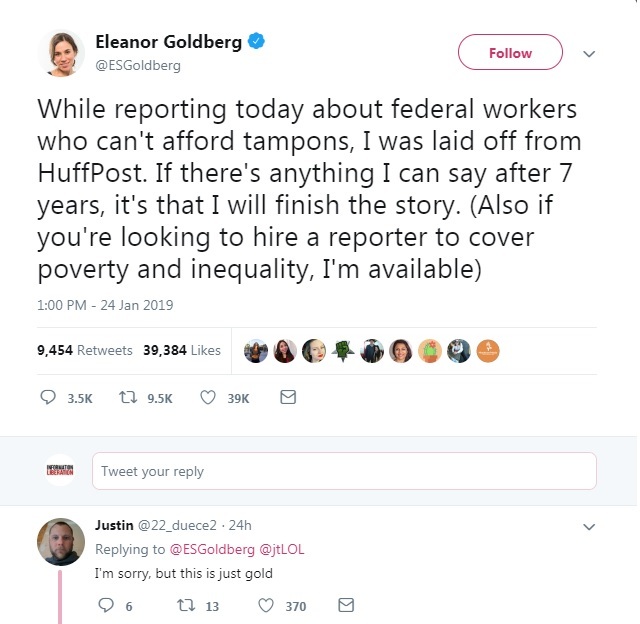 Huffington Post headline after Steve Bannon was ousted from the White House, was also laid off.